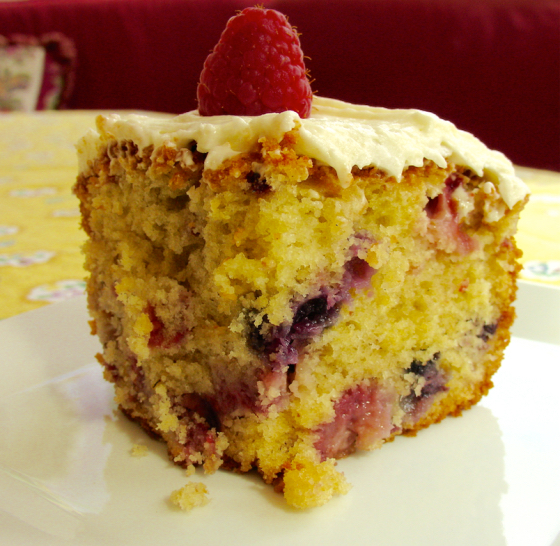 Mystery Lovers' Kitchen: Berry, Berry, Berrylicious Cake! You knew it would not be long before I baked another cake. This may be one of our favorites. It contains five cups of berries! 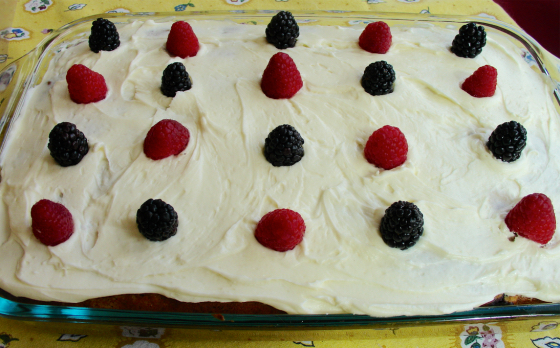 You're guaranteed berries in every piece and almost every bite! The original recipe gives the option of using fresh or frozen berries, so frozen should work just as well. It makes a nice sized cake. 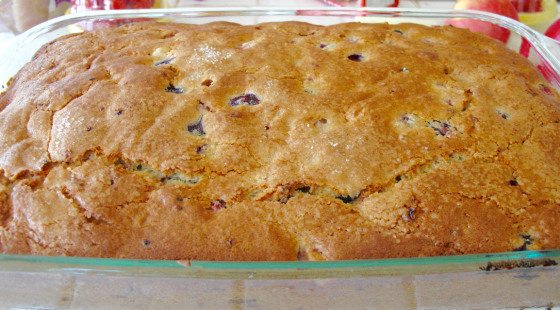 Inspired by Double Berry Cake at Food.com, I switched it up and added all kinds of berries. It's a great way to use them up. We enjoyed it for afternoon tea every day. Even the dogs got a bite and approved. I made a cream cheese frosting for it. 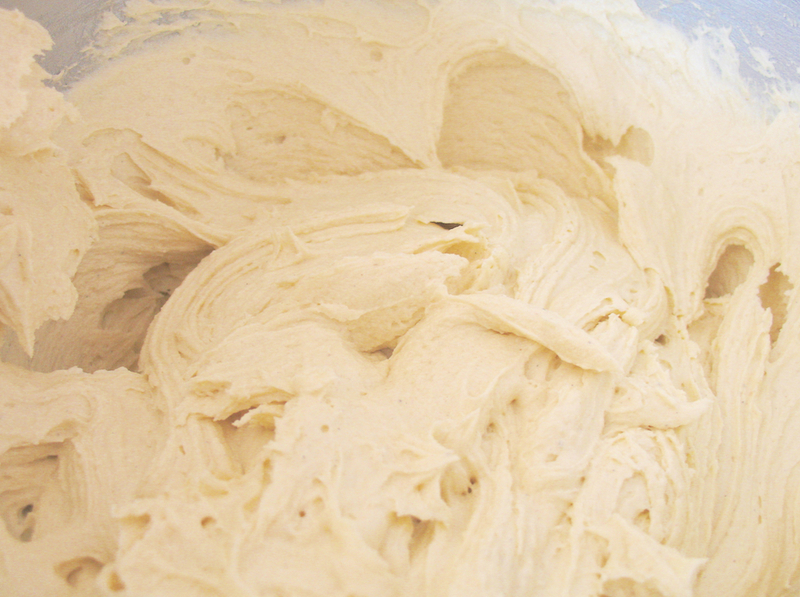 Frosting fans, please note that this makes enough for a very light amount of frosting. If you're frosting crazed, you may wish to double the frosting recipe. However, it would be equally good plain and served with a dollop of sweetened whipped cream. If you plan to serve with whipped cream instead of the frosting, sprinkle with 2 teaspoons of sugar before baking. Soften butter and bring 4 eggs to room temperature. Preheat oven to 350. Grease a 9x11 baking pan. Wash the fruit, spread on a couple paper towels and dab with another paper towel to dry. Chop the strawberries into chunks. 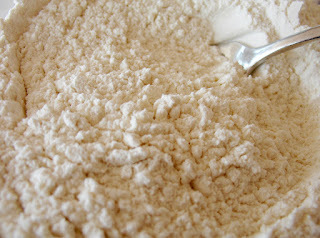 Pour all into a bowl, sprinkle with 1 tablespoon flour and turn to coat. Set aside. Pour the vinegar into the milk and set aside. 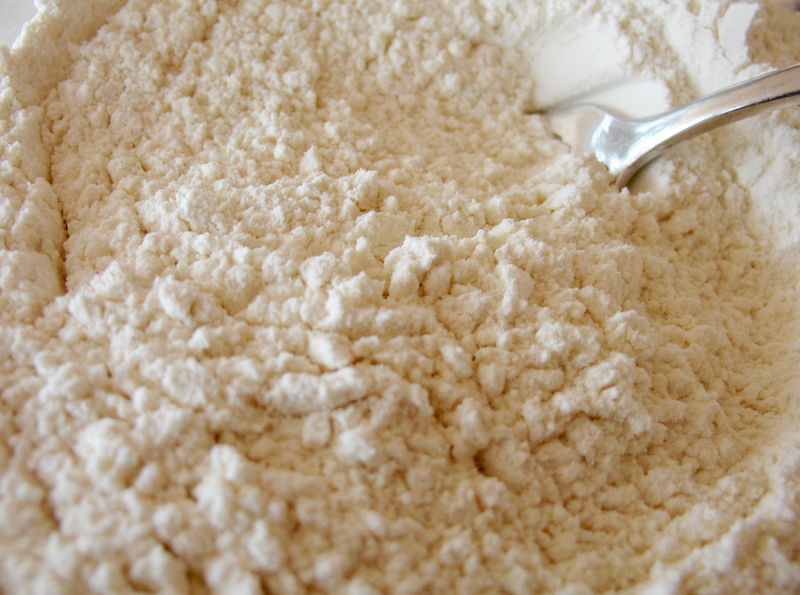 In a bowl, mix together the flour, baking powder, baking soda, and cardamom. Stir well with a fork or whisk to combine. 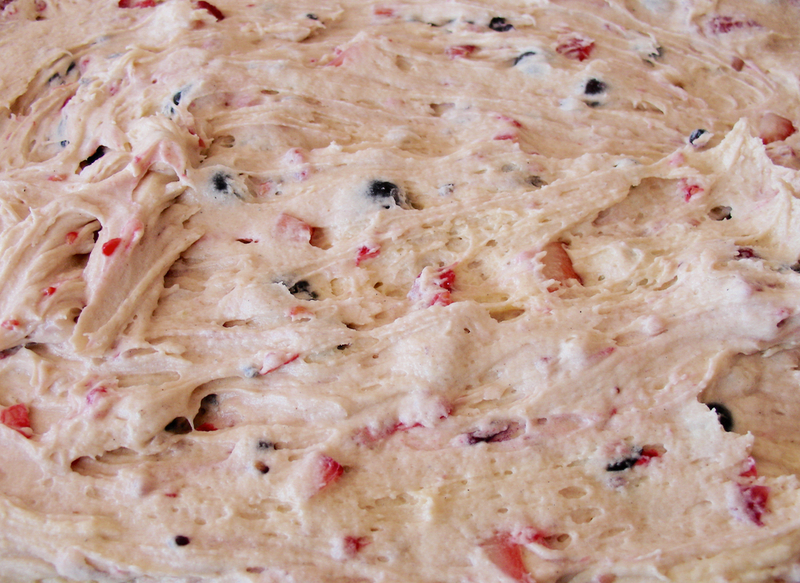 Bake 50 to 60 minutes or until a cake tester comes out clean. Place butter, cream cheese, and vanilla into mixer and beat together. Slowly add the powdered sugar. Beat an additional 5 minutes for great frosting. 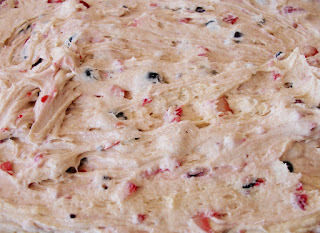 Spread on cooled cake. 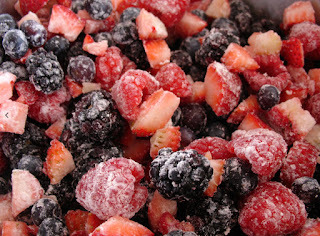 Mix the berries with a tablespoon of flour. Mix the flour and spice. Almost a berry in every bite! 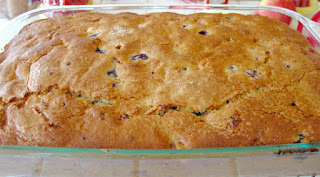 I love the way the berries are buried in the batter (had to say that, didn't I?). Definitely a pretty cake! Ooooh! What a great title. Berried in the Batter! Now THAT is a properly berried cake! I like the idea of that nice touch of cardamom. You sound like me, Libby. The more berries the better! cake sound delightful, have to try. 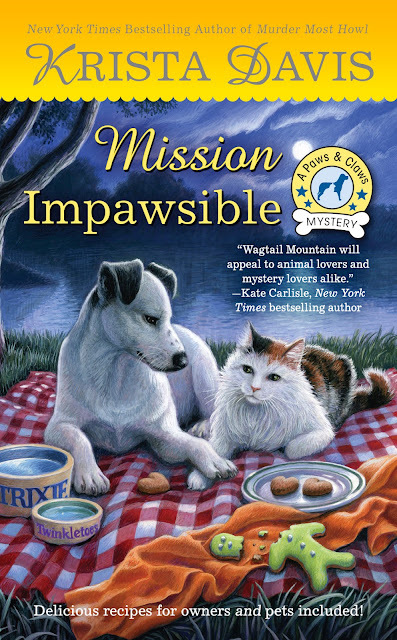 Can not wait to read Mission Impawsible. I hope you like them both, Barb! We can never have enough berries, right, MJ? I wish I could cyber share. We thoroughly enjoyed it! LOL, Cleo! Thank you berry much!